And after the movies… ice cream will be served ! With all the buzz surrounding this year’s Oscar broadcast, New Horizons is excited to announce that we’ve been awarded the opportunity to participate in the 2nd Annual Mitchell Englander’s Making Movies that Matter (MMTM) and Short Film Festival. The intent of MMTM is to inspire issues and topics that manifest themselves in films that touch people. The funding for this special program has been secured by Councilmember Mitchell Englander’s office and directed towards CD12 schools, recognizing that arts education is a wonderful avenue for augmenting curriculum. Because New Horizons believes in the talent our participants have shown in our very own Achievement Center’s Technology and Media Arts (TMA) program, we are excited to be included among MMTM’s 32 entrants. As part of this 12 week program, New Horizons’ TMA participants and staff will have the unique opportunity of learning all aspects of filmmaking from professionals who are currently working in Hollywood. They’ll be given classroom instruction, cameras, mics, lenses, lighting packages, and editing software that will enable them to tell their stories, both in front of and behind the camera, through the magic of making movies that matter. MMTM movie entries will be reviewed by a panel and winners will be selected in a number of categories. The winning movies will be viewed at the program’s culminating Film Festival at the Valley Performing Arts Center on California State University, Northridge’s campus on May 24th! 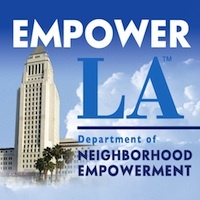 MMTM partners include LAUSD Local District, Community Arts Partnership (Cal-Arts), Valley Relics Museum, and Department of Cultural Affairs – City of Los Angeles.